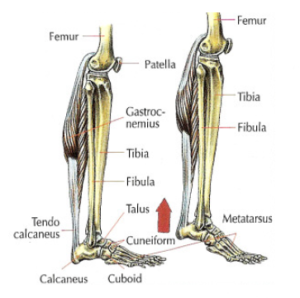 Do an extension of the foot keeping your knee joint in extension of slightly bent. 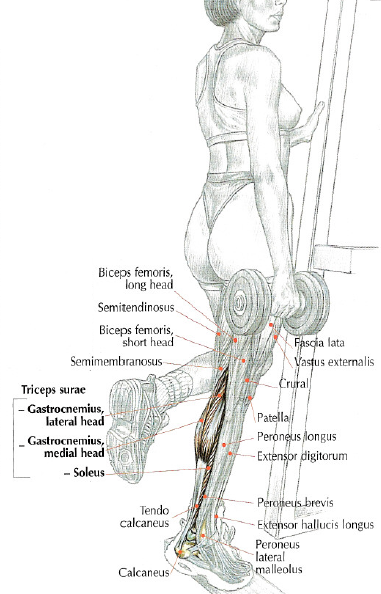 This exercise works triceps surae (composed of 2 gastrocnemius and soleus). It’s important to do each repetition with full flexion of the feet to really stretch the triceps surae. Only high set until the burning sensation give good results. 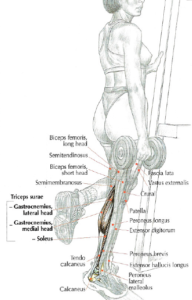 For some people, triceps surae don’t gain volume bit it is gaining strength. Low calves (gastrocnemius and soleus go very down) will easily gain volume. High calves will gain a little volume.